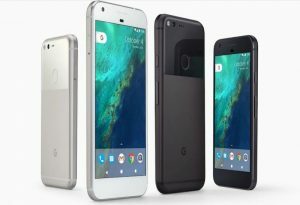 The much-awaited Google Pixel 2 and Pixel 2 XL flagship smartphones from Google have finally arrived in India. They will be up for pre-orders online starting today. Similar to the first-generation pixels, Pixel 2 and Pixel 2 XL will be sold exclusively on Flipkart. However, only Pixel 2 smartphones will be available in retail stores starting November 1. Moreover, smartphone enthusiasts will have to wait until November 15 to get their hands on the Pixel 2 XL variant from offline retail stores. The 64GB Pixel 2 base model will cost ₹61,900, whereas the base variant of the 64GB Pixel 2 XL will cost ₹73,000. The Pixel 2 will come in blue, black and white colours. On the other hand, the Pixel 2 XL variant will be available in Black and white colours only. Likewise, the 128GB Pixel 2 variant will cost ₹70,000 and the 128GB variant of Pixel 2 XL will cost ₹82,000. Google has come up with a slew of upgrades on both the variants of Pixel 2 this time. Both these phones are powered by Snapdragon 835 processor and 4GB RAM. They are also adorned with a 12.2 MP camera at the back and an 8MP snapper up front. The larger Pixel 2 XL smartphone will sport a 2700 mAh battery, whilst the Pixel 2 phone will pack a 3520 mAh battery. They also boast of IP67 dust and water resistance, and front stereo speakers. However, music lovers will be disappointed because there is no 3.5mm jack this time around. Which one should you buy, the Google Pixel 2 or Pixel 2 XL? Unlike last year, Google has tweaked around with the looks of both the pixel smartphones this time. Even more interesting is the fact that Google roped in two different manufacturers to make these devices this year: LG for Pixel 2 XL and HTC for the smaller Pixel 2. 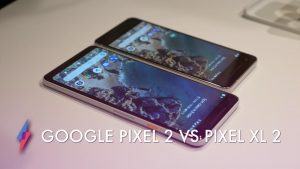 But, the biggest difference between them is: the Pixel 2 will sport a 5-inch full HD display with sizeable bezels whilst the Pixel 2 XL will pack a 6-inch quad HD display screen with thin bezels. Yes, Flipkart, as the exclusive online retailer will offer a Sennheiser bluetooth headset to everyone pre-ordering a Google Pixel 2 and Pixel 2 (XL) smartphone. However, you will have to pre-order the phone(s) before October 31 in order to be deemed eligible to receive the headset.